Tooth whitening is one of the most sought-after treatments by patients. We’ve compiled a helpful guide to answer the most common questions our patients ask us about the various ways to whiten their teeth. If you still have questions let us know, and we will add it to the guide! Proven to comfortably and safely whiten your teeth in a matter of days Nite White ACP and Day White ACP is from the worldwide leader in professional whitening and the maker of Zoom Teeth Whitening System. The active whitening ingredients in Nite White ACP and Day White ACP carbamide peroxide and hydrogen peroxide can safely and effectively whiten even the most difficult stains. Discus Dental has the only take home whiteners with patented amorphous calcium phosphate technology (ACP). ACP is a chemical precursor to natural hydorxyapatite minerals that are found in teeth. Studies have shown that ACP reduces sensitivity, rebuilds enamel and fills tooth surface defects to restore enamel luster for a bright, healthy smile. The variety of Discus Dental take home whitening products allows your dentist to provide the best treatment for your personal needs. The mint gel is worn overnight using a comfortable and inconspicuous custom fitted tray. If you have bruxism or prefer to not wear the trays overnight, Nite White ACP 22% is worn for one hour a day or Day White ACP whitens teeth in only 30 minutes twice a day. If you have questions about your whitening options consult your dental professional. Only a dentist can get your teeth their whitest. It is a bleaching process that lightens discolorations of enamel and dentin. The system uses a mild solution retained in a custom-fitted tray that is worn over your teeth. There are many causes. The most common including aging, consumption of staining substances, coffee, tea, colas, tobacco, trauma, nerve degeneration and oral restoration. During tooth formation consumption of tetracycline or excessive fluoride may also cause tooth discoloration. The vast majority of people will benefit from tooth whitening. However, there are some cases where the treatment may not be effective. A dentist may determine viable candidates who respond to a treatment. The degree of whiteness will vary from patient to patient depending on the structure of the teeth, the number of applications and/or the duration of time that they system is used. Yes. Research and clinical studies indicate that whitening teeth with carbamide peroxide or hydrogen peroxide under the supervision of a dentist is safe for teeth and gums. In fact, many dentists consider this whitening process the safest cosmetic dentistry procedure available today. The whitening gel is placed in a thin bleaching tray that fits over your teeth. As the active ingredient in the gel is broken down oxygen enters the enamel and dentin and bleaches the colored substances. The structure of the tooth is not changed only the tooth color is made lighter. Maximum results generally occur when the process is continued for 10-14 days or nights. For quicker results try Nite White Turbo which whitens an average of 6 shades and only 3 nights. Some people experience temporary increased tooth sensitivity to cold during the treatment. These symptoms disappear in 1-3 days after interruption or completion of the treatment. The teeth will always be whiter than they once were. However, some patients may need a tooth whitening touchup for 1-2 days once or twice a year. In order to maintain the whitest tooth shade possible it is best to avoid substances like coffee, tea, red wine and tobacco. If you are prone to hypersensitivity use Relief ACP or Oral Care Gel for 15-30 minutes before and after each treatment. 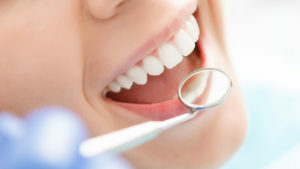 During your diagnostic visit your dental professional will take impressions of your teeth. This allows your dentist to make a custom gel holding appliance called a whitening tray. At your second visit you will be fitted with a take home whitening tray. You will also be given specific instructions on how to administer the gel and how often to wear your tray. Follow the take home directions and those of your dentist. Continue to maintain proper oral hygiene through brushing and flossing. Tooth whitening is an established procedure in cosmetic dentistry. Carbamide peroxide and hydrogen peroxide, the active whitening ingredients, have been used safely for many years in the treatment of gums and other oral soft tissues. If you have any questions ask your dental professional who is there to maximize your smile. Using Nite White ACP, Day White ACP means the whiter brighter smile you dream of can be yours in just a few days.